“Jorie Fleming was a wonderful agent; always there wen we needed her and her expertise was essential in the sale of our home. " -Jim P.
“Besides being ready to help at any time, Jorie gave honest feedback and guidance. Her experience and knowledge gave us great confidence - we could tell she was working hard for us." -Barbara C.
“It was important to me to have an agent who lived in the area and who knew the area well. Jorie Fleming was the right person for us. Her contacts were crucial to our success. " -James M.
“Jorie takes the time to get to know you, your family and has expert knowledge of the area and homes. Her knowledge of building makes her a trusted resource when evaluation the condition of any property. Your always feel Jorie has your best interest in mind. " -Christopher E.
“Jorie was incredible! Her knowledge of the local market got us maximum value and a quick sale. Her attention to detail and communication made the whole process run flawlessly. She’s the best. " -Eric S.
Board of Directors 2017-2019, Community Connections Inc. Providing life-enriching services that promote optimal independence for people with disabilities. Jorie Fleming comes to Compass with over 20 years experience in real estate sales on Cape Cod. With deep roots on the Lower / Outer Cape and having grown up in a family real estate and construction company, Jorie’s wealth of knowledge extends to all aspects of the business. Cape Cod is an area where the environment and the amazing lifestyle it supports are so important. Issues impacting real estate transactions are not uncommon. Jorie is well versed in local zoning, conservation, coastal and environmental regulations affecting so many Cape properties and she has the knowledge and contacts to confidently guide her clients through any sale or purchase, beachfront cottage or family compound. A consistently top ranking agent with leadership experience in and out of the real estate industry Jorie is a great resource and takes pride in the years of referrals and repeat clients that have made her successful. With the unsurpassed technology, resources and support Compass provides Jorie is positioned to continue to offer the comprehensive and focused service her clients have come to expect while remaining competitive and relevant as the industry changes. 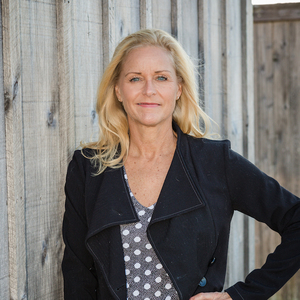 When not listing and selling, Jorie works with her dad developing, competitively priced, thoughtfully designed and built new homes on the Lower Cape. She also enjoys riding horses in local conservation lands and hanging out with her daughter and 2 rescue dogs.